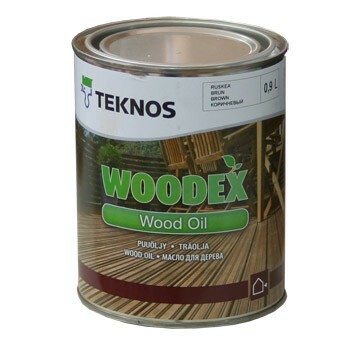 Wood oil specially designed for heat treated wood and other hard wood. Oil contains UV protection and pigmentation. In order to keep the natural color from getting bleached out by the sun, yearly application of oil is recommended. Without regular maintenance the wood will turn gray with time. Mold stains that come from sources in the surroundings can also form.